What is the BCI trying to do anyway? It is very natural that anyone could have this question in mind. But seldom has one realized the immensity of purpose the BCI stands for. Broadly speaking, the BCI is working to contribute in whatever way possible to bring about human well-being. As a secular non-profit organization, it is our utmost understanding that we are first human beings. Only then we could be of any designation we assume. It is not hard to imagine being principled human beings, but it is harder to keep hanging out there. What can be said is that there is no harm in trying to think big, but we need to make sense in whatever we do. The BCI invites all members of the community to learn more by looking at our website, reading the BCI literature, participating in projects and services and sending in your feedbacks. It is the effort of the BCI to make everything transparent and easily understandable. Most of the members of our community are associated with faith-based organizations like the BHI, KSI, BABSI, Ray of Hope, and Heavenly Path. They can approach these organizations for the details of the BCI. 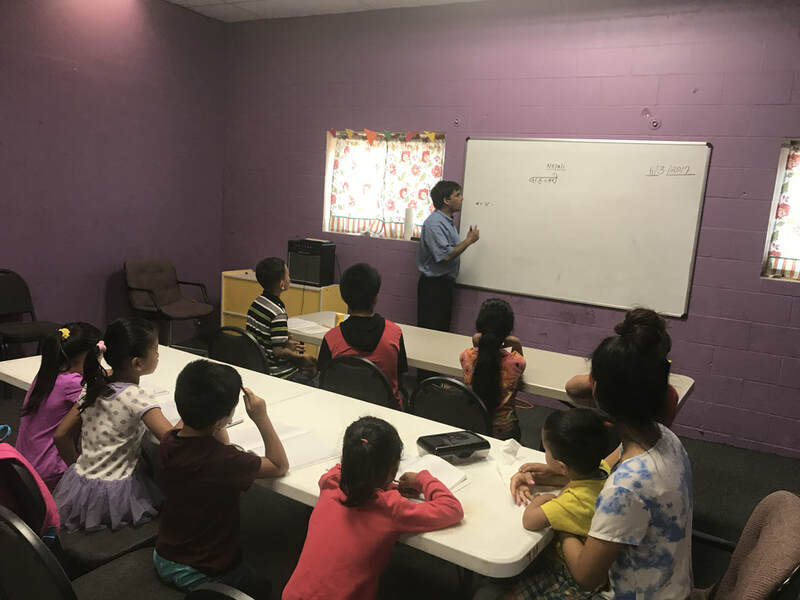 Let us hope that in the days ahead, we will not only be able to provide welfare measures for our community but also pursue our long-term goal of protecting and promoting the cultural identity of the Nepali-speaking Bhutanese in Iowa. English as a Second Language is crucial for various aspects of the community like communication, appearing for the naturalization tests and smoothly undertaking activities of daily lives. This class is one of the oldest class designed to solve the problem of English as a barrier. While much importance has been given by other agencies as well, the BCI seeks to increase participation and reach out to all those who are in need. Presently, there are some 25 participants attending this program. I am happy to attend the English Classes of the BCI. I am also grateful for helping me apply for job. The Classes are very useful to me. I feel I am learning something every day. Thanks to the BCI. Everything that we are studying is good and we are improving a lot. Besides teachers understand and speak our language, we do not have problem in asking questions on anything that is taught. I have been telling other friends to join and take benefit of the ESL and Citizenship class. This program is run by the Bhutanese Community in Iowa with technical support from Druk American Shito-Ryu Karate do [DASK]. Children above 5 years of age are registered in the program which is intended to teach discipline, development and dynamism and help attain physical fitness. Presently, new participants are recruited and demonstrations are being given to the guardians so as to select their children for the grading slated to take place on June 1, 2018. ​A three-member team of the Bhutanese Community in Iowa attended the panel discussion hostel by the Monsoon Asian Women's organization on April 24, 2018 in the Franklin Library here in Des Moines. The panel's main agenda was the situation of Nepali Bhutanese in Iowa. A variety of questions were asked during the discussion chiefly on the situation in Bhutan that expelled its citizens and the present role the BCI was taking to provide support to the members of the community. The BCI speakers left no stones unturned in letting the audience know about issues such as ethnicity in Bhutan, the retroactive citizenship laws there, militarization of south Bhutan and forcible exile of one-sixth of the country's population in the early 90s. The BCI's role as a secular, non-profit organization of the Nepali-speaking Bhutanese and its efforts jointly with its five faith groups to provide welfare and work for protection and promotion of their rich cultural heritage was highlighted. The BCI team when confronted with the issue lambasted the caste system prevalent in Iowa and the need for organizations to identify the real cause of sufferings affecting human lives. The team also distributed 3 different sets of BCI literature each to the audience present for their easy reference on Bhutan situation, the BCI Activities and the BCI update. 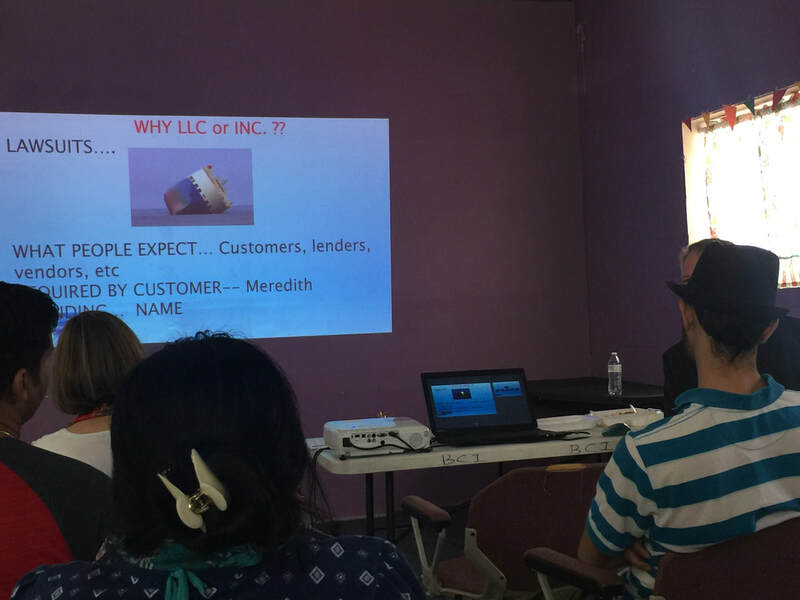 ​The BCI in partnership with Drake Legal Clinic conducted a two-hour Business Startup Presentation for the Bhutanese leaders at the BCI office complex on May 5, 2018. The Presenters included legal expert Dr. Chip Lowe, Director, Drake Law School, Entrepreneurial Clinic, Dr. Deb Bishop from Drake Business School, and Ms. Claire Reiman, the Client Opportunities Coordinator of the Iowa Center for Economic Success. Attending the workshop were 20 members of the Bhutanese Community. A whole range of business concepts and principles of doing business were imparted which included ethics, integrity, responsibility, respect for the laws and rules, respect for the rights of other citizens, work loving, strive for saving and investment, will of super action and punctuality. In between the workshop activities were undertaken to assess what the participants were good at, what they enjoy doing, their strength, weaknesses, opportunity and threats. The workshop concluded with an evaluation of the participants. 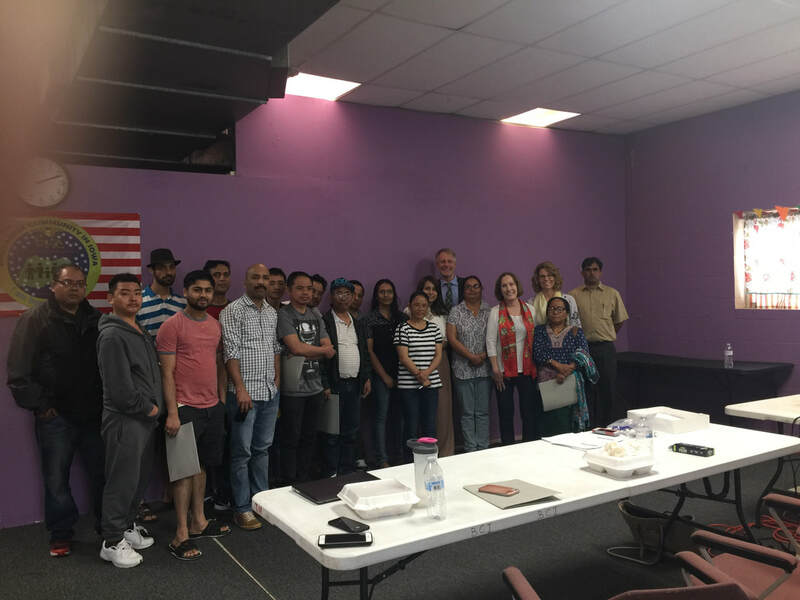 Taking the opportunity of the visit of Holly Ham, Executive Director, White House Initiative for Asian American and Pacific Islanders to Iowa, the BCI not only listened to her experiences and the work she had done but also spoke out some of the woes of the Nepali-speaking Bhutanese community. 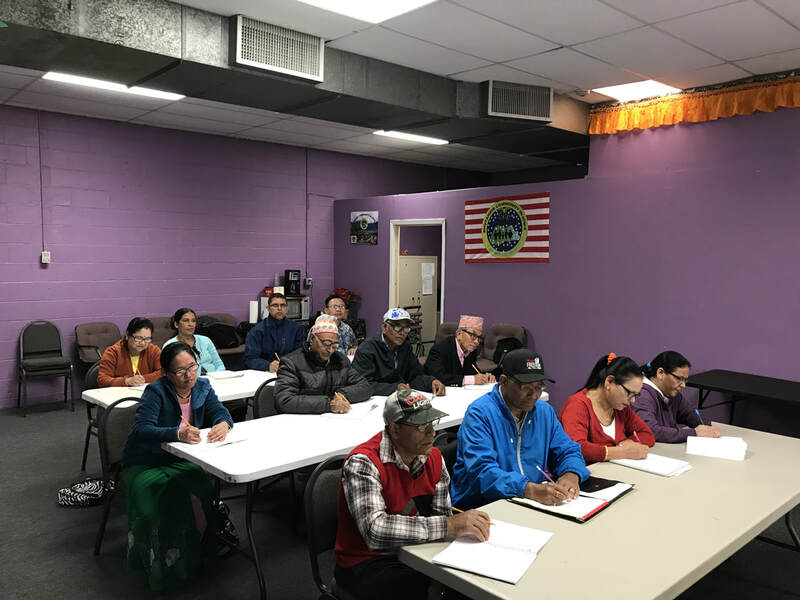 In the meeting held at the DMPS in Walnut Street, the BCI representative raised the issue of over 7000 Bhutanese refugees stranded in Nepal after the resettlement has been closed. He also took the opportunity to inform the US government that hundreds of human beings live as unrecognized people without citizenship in Bhutan. Evidently a victim of the racist citizenship laws, these people cannot pursue a trade of their choice, do odd jobs, does not even qualify as second class citizens and live with support of relatives. 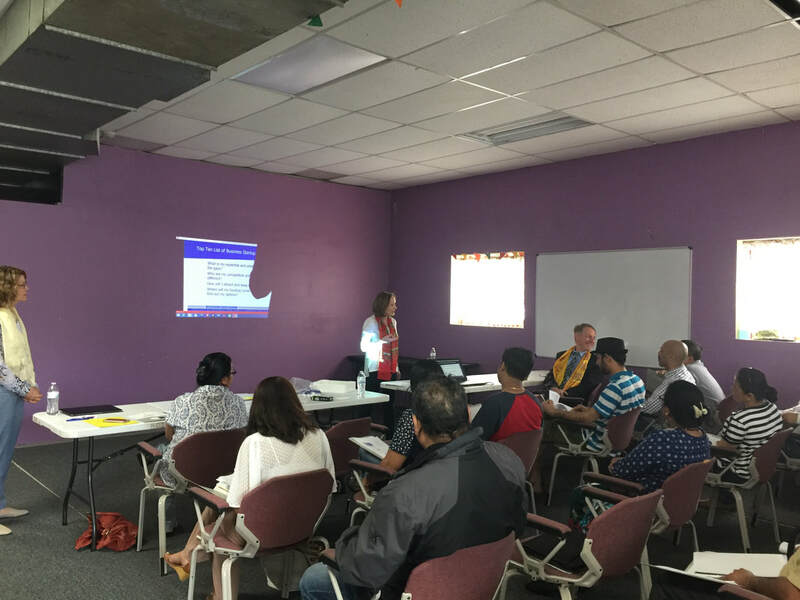 Speaking on the same breath, the BCI representative apprised her about the social and welfare issues affecting the life of Nepali Bhutanese Iowans. 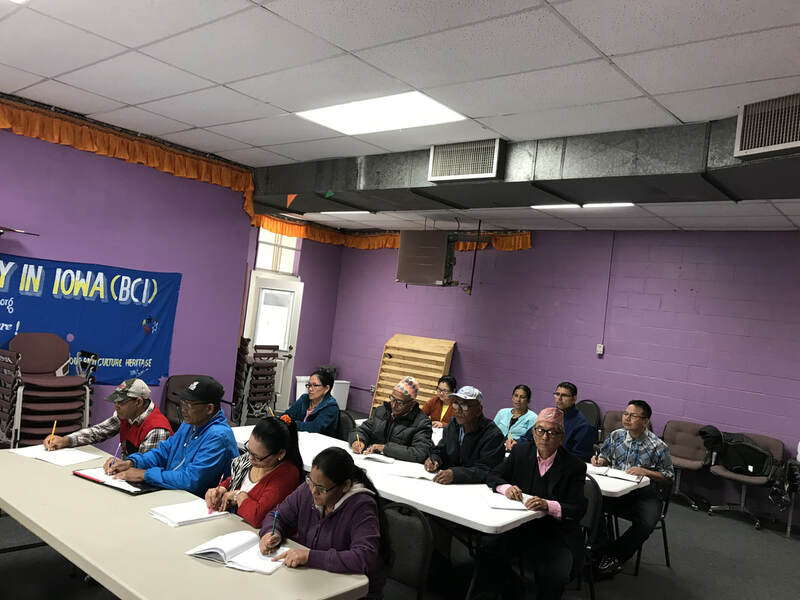 Some of them included possible relaxation of the naturalization procedure particularly for illiterate adults and elders. Support for unforeseen situation like the death of near and dear ones, skill development programs, support for English classes and sponsoring activities that would allow for the protection and promotion of the distinctly rich culture of the Nepali-speaking Bhutanese. 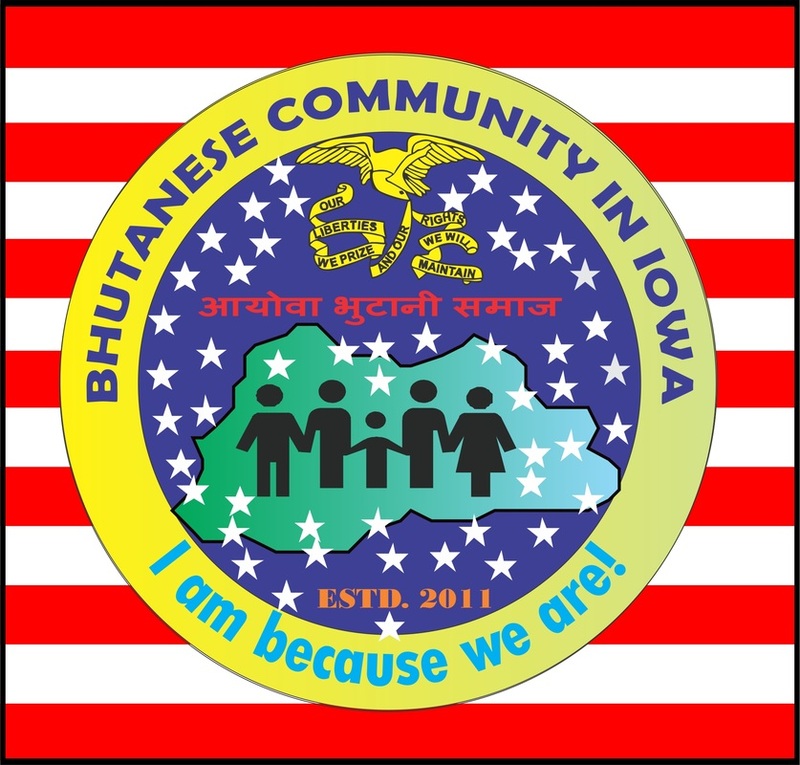 The Bhutanese American Buddhist Society of Iowa (BABSI), one of the BCI's sister organizations, celebrated the 2062nd birth anniversary of Lord Buddha with colors and fun on April 28, 2018 at the BCI office complex. Devotees gathered to make the ceremony bright and beautiful. As usual there was a chief monk performing the rituals and blessing the people gathered. Several prominent Buddha followers shared their opinion on the occasion like a spiritual discourse. Buddha has been renowned for professing the eight-fold path, ahimsa paramo dharma, meditation for peace within and the ultimate Nirvana. It appears every one of us should head for Buddhahood only then will this great mission be complete. We know there have been thousands of Buddhas who have come. It is said that it is not about knowing God but about becoming God. That should be what we must head for. “My name is Devi Maya Neopane and I have come with my husband Bishnu Bhakta Neopane. We hail fron Lalai village in Gaylegphug. We lived in Beldangi II Extension refugee camp in Nepal before coming to the United States. There are 8 members in our family however we live in two different houses here. Some 45 years ago, I used to be an Indian citizen but was married with my husband and have since then lived in Bhutan. Initially things were good. It was secured with health and educational facilities provided. However, I remember the Phuntsholing-Thimphu highway was built with the free labor provided by the south Bhutanese. It was ordered that they must provide 90 days labor carrying personal food. We were also asked to work for the Public Works Department for a minimum wage. Since the last two to three decades, things have turned against the Nepali-speaking Bhutanese. Some of the draconian measures of the government included: Forcing Nepali girls to marry the Drukpas; Forcing people to wear the Drukpa dress; shut down teaching Nepali in schools in south Bhutan; Forcing people to practice Buddhism instead of the Hindu culture – one Harka Bahadur Ghimere, follower of Christianity was charged with treason and forcibly evicted. Drukpas are the ruling ethnic group.